You should begin your blog with a free blog hosting service. A free blog host is very rewarding for a new blog. Starting with a free blog hosting service allows you to begin blogging instantly without having any advance knowledge of scripts, hosting or programming. It allows you to build an audience and buzz for your blog. It allows you to focus on your content and not the internal maintenance of the blog. The best benefit of starting with a free service, is in the case your blog doesn’t become successful you do not lose any money or are you left holding the bill. The great thing about a blog is that they are organized in chronological order, your latest entry is displayed first. When your blog traffic grows greatly and you are ready to upgrade to your own domain then you can simply make your last blog entry the announcement of your “move”. Simply add a last entry stating that your blog has “moved” and type the new blog URL address. Which directs visitors to your new blog site, keeping your following, without a major inconvenience to anyone. Upgrade as you need to…but only when you need to! This step is a must and not a suggestion. Updating your blog daily not only keeps your blog more interesting to readers, but it also gives your blog fresh content on a day to day making it more appealing to search engines. Not updating your blog on an occasional holiday or one day here and there is understandable to most, but missing days at a time or weeks is unacceptable and will most likely result in your blog being unsuccessful. To keep your blog traffic and retain your visitors interest it is a must to update your blog daily with multiple entries. Though, there is a growing trend of successful blogs that are not being updated daily, but they are successful and have a stable audience who continue to visit their blog daily. Regardless, these blogs are still updated weekly with multiple entries. Until you have a steady audience you should try to update your blog every day with at least three or more daily entries. The best way to accomplish this is to set aside 1-2 hours a day for tending to your blog and adding new entries. It may even be wise to schedule a set time which you dedicate to your blog each day. Give yourself work hours and treat your blog as a job, what happens if you don’t come to work for days or weeks…you lose money or worse you get fired! Same applies here…if you don’t update your blog for days or weeks you’ll lose visitors. You can also schedule up your blog posts so they automatically update whenever you’ve chosen for them to. It’s no secret. You must have traffic to profit from blogs. There are numerous ways to build traffic. Paid advertising, free advertising, viral marketing, search engine marketing, RSS/XML feeds, and word-of-mouth. You should always use your blog URL address in the signature of your email, forum discussions, message boards, or any other communication/social media. You should submit your blog URL address to search engines and blog directories. You should submit your RSS/XML URL feed to blog ping services like Technorati, Ping-O-Matic, and Blogdigger. You should confidently share your blog with family, friends, co-workers, associates, and business professionals when it relates. Many blogs can be considered as a collection of articles, for this purpose you should submit your blog entries (those that are valuable and lengthy articles) to content syndicators. Once submitted, your articles can be picked up and published by others. 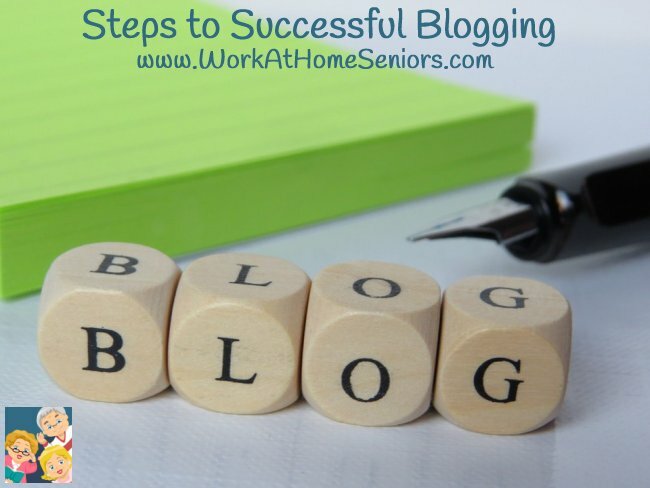 The trick is to make sure you include your Blog URL address in the “About the Author” passage. What this does is create link popularity and backlinks for your blog, when someone picks up your article from the syndication then publish the article on their website the “About the Author” passage is included with each publication and the link you included is followed, crawled, and indexed by search engines. Imagine if your article is popular enough or controversial enough to produce 10,000 publications across the web. The search engines is bound to find your blog in no time with that many publications and credit you a authority on the topic, in return increasing your rank on search engines. The small effort of writing a well written article is rewarding. You should try to write at least 1 full length article every week for syndication and submit your article to at least 10 article syndicators. Try to include non-advertising graphics, pictures, photos and art in your blog entries. Not too much. Once a week is fine. Graphics can sometimes bring your blog to life. Of course, the content of the blog is the most important aspect and you do not want to overshadow your content with graphics, but displaying graphics can add a bit of spice to the blog. Be choosy about your graphics and make sure they fit your entry topic. You should add content with the graphic, at least a caption. Original graphics, photos, pictures, and art is recommended. Make sure you adhere to the copyright for any images you use online. Give your readers advanced notice about a product, service or topic which you are going to review and then talk about later. If the President was scheduled to give a speech then in your blog you should state that you “will discuss the speech and give your opinion after the speech airs. Comments will be appreciated”. Try your best to find exclusive information that not many have. Do not disclose any confidential or secret information which is deemed illegal or can potentially get you into trouble, but try to get the scoop before everyone else does. Such as: If your blog was about Paris Hilton (the socialite) and you had a blog entry about “Paris Hilton Getting Married” then it would be interesting to your readers if you had a actual picture of Paris Hilton engagement ring. Give it your best effort to dig and search the internet for exclusive information and you will possibly come up with something useful. Your readers will appreciate this and they show their appreciation through word-of-mouth referrals. Imagine how many readers will tell their friends, family, and others about information they only can find at your blog. Once your blog has gained some real momentum and your blog traffic is increasing then it is time to start thinking about turning your traffic into profit. You should use contextual advertising, like Google AdSense or Chitika. Contextual advertising is usually text links which use the content of your blog to publish targeted ads on your blog. The payout is usually based on a pay-per-click model, meaning for ever click an ad receives you are paid a small percentage of the profits. In addition to contextual advertising it is good to also use graphical advertising such as Amazon.com or ShareASale.com. At the level of a professional blogger you may want to team up with one or more other bloggers. This will create a more interesting and more powerful blog. The old saying “two heads is better than one”, more authors means more advertising and exposure because each author will have a vested interest in the blog. The idea of a team blog is to make it profitable and rewarding for all authors, while continuing to target the blog topic and keeping the blog interesting for visitors.